I am thrilled to present this super chill video for the amazing Elaquent's track "Moment of Weakness"
Elaquent - Moment of Weakness from Eric Power on Vimeo. When I first heard Elaquent's "Moment of Weakness" I was struck by how cinematic it sounds. I began to see landscapes with rolling hills, mountains, forests, and streams. I decided very early on that I wanted to pull the camera back and challenge myself with letting the landscapes tell the story and dictate the mood. It's no secret that I am a huge fan of Samurai cinema (my first animated feature is a Samurai film, afterall). The flute featured in the track was so striking to me that I wanted to make it part of the narrative, so I decided to tell a loose story of a traveling musician who plays for the gods. It was important to me to not lock down any particular narrative as the music felt bigger than any short story could contain. So, until the day I can convince Elaquent to score a full feature, this is gonna have to do! After taking time off to create my feature film, Attack of the Demons, I am back with my first of several music videos of 2019! Paul Jacks came to me with this excellent track off his debut album, Defractor. The song spoke to my own wanderlust, so I chose to explore a character who is seemingly on an endless journey. I wondered what the repercussions would be of a life spent in the air. Would everything begin to bleed together? I opted to dive into abstraction to explore these ideas. Unlike many videos I've directed, I decided not to focus heavily on a narrative structure. This ended up being a very challenging project to wrap my head around, but I am quite pleased with the results of my experimentation. Take a look! Check out this mini documentary on the making of my first feature animated film; Path of Blood! PATH OF BLOOD IS NOW AVAILABLE ON BLU RAY!!! Attack of the Demons is COMPLETE! 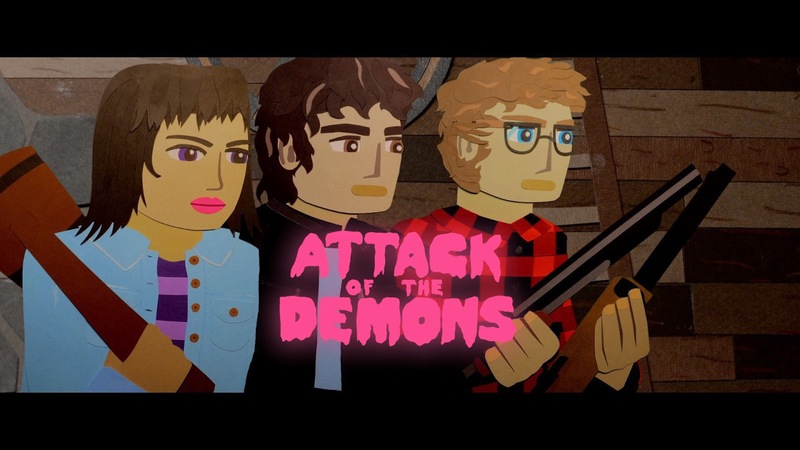 My second feature animated film, Attack of the Demons is officially DONE! We cannot wait to share our wild and crazy paper animated horror film with you all!